Very nice PlayStation remote controller developed by individual | GEEK! Yes, I know, GEEK! doesn’t usually talk about news related to games and games consoles, but this something I really wanted to mention. Just spotted this on the internet (see below). 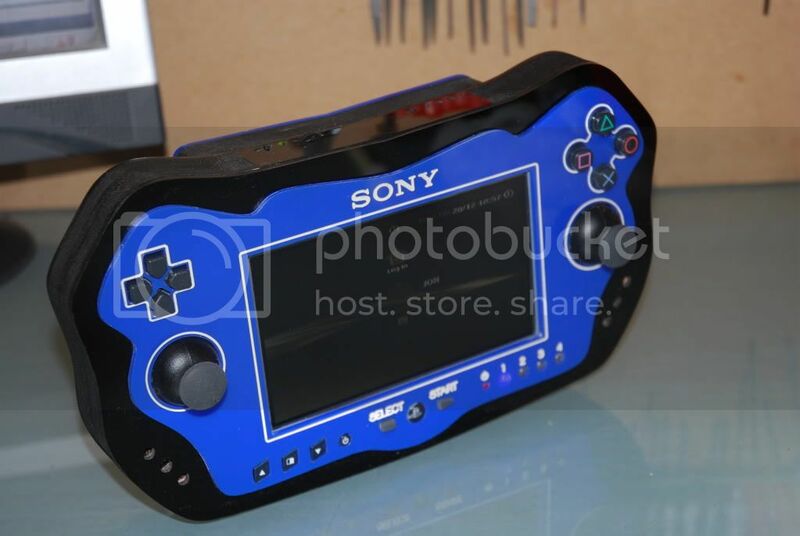 It’s a remote PS3 controller which has been handmade by an experienced individual. It features a 5” wireless LCD, sound, all the controls you’d expect, a 1.2GHz wireless controller, a mini-USB input, charger input, and headphone port. For a handmade product, it does look pretty amazing. Sadly, the creator doesn’t mention the wireless range (or at least not at the time of writing). Still, it’s a pretty fantastic concept that will probably interest many gamers. According to the creator he will be selling the device as soon as a minor sound issue is fixed. Any guesses on what it might go for? This entry was posted in Gaming, Hardware and tagged controller, Hardware, playstation 3, ps3 on December 30, 2009 by GEEK!.